A paramount location defines this Skaneateles Village home. With a charming 2 minute walk to village shops, restaurants, and downtown, you can be having lunch by the gazebo within minutes! This historic Italianate home has iconic high ceilings, crown moldings throughout, and a staircase that gives the house character and charm consistent with its age. The wrap-around porch and carriage house are classic parts of this wonderful home. The location offers limitless potential as it is surrounded by properties that demonstrate what a terrific investment opportunity this house represents. Large sprawling back yard that has to be seen to be appreciated! 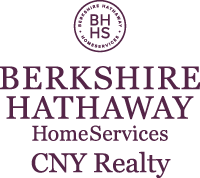 Come see the charm that the historic homes of Skaneateles represent, with a location that is second to none! I am interested in E 149 Genesee Street, Skaneateles, NY 13152. Sign up for Inside AccessTM to view recent sales near E 149 Genesee Street.